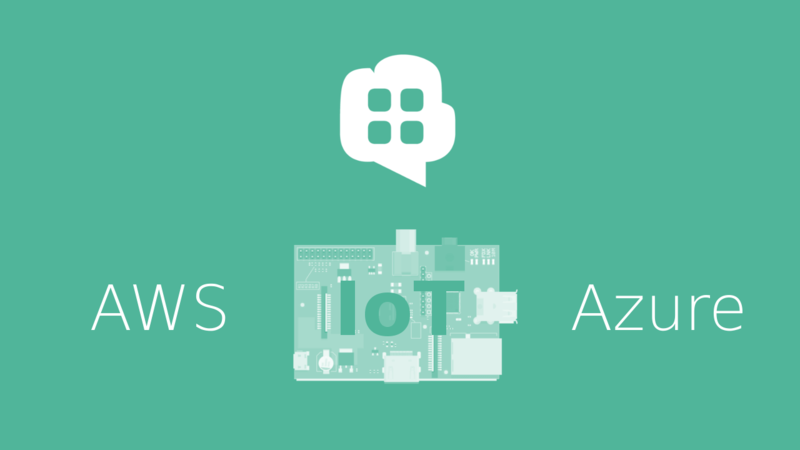 There are several key players in terms of IoT cloud platforms, but we chose to focus on two — AWS and Azure. In Para 1.20.0 we’ve implemented basic support for both platforms which allows you to keep your devices in sync between your backend and the cloud. There’s a new object called Thing which holds all the information about your device — the state of the device, the security credentials for the cloud and other important data. When a Thing is created, Para automatically calls the cloud provider and sets it up, returning all the information you need to connect your device to that cloud. It can then start pushing state changes and messages to the cloud containing any sensory data or other data of interest. In the case of AWS, Para would check for state changes on every read request and in the case of Azure it runs a separate thread for listening to cloud-to-device messages and updates Thing objects in the background. If you prefer one of these two approaches, we’d love to hear your feedback. AWS have what they call “device shadows” a persistent storage for device state which is useful for remembering what was the last state of the device if it ever got disconnected. Let’s assume that this shadow has been updated by our Raspberry Pi thingy and it set a temp = 24 variable. Once we read object like we did above, it gets the latest state from AWS. If we make a change in our backend and change the Thing to have temp = 26 then this change is automatically reflected on AWS and the shadow of the device is also updated. Update the deviceState from the Para API and it will be synced with the device shadow on AWS on every PATCH request. We’ve released quite a few improvements in 1.19 like the implementation of “join-like” queries using the method findLinkedObjects() this allows you to search for objects within a set of linked objects, in a many-to-many relationship. This feature relies on the nested query in Elasticsearch. Para now works with Microsoft accounts so you can authenticate users with valid Windows accounts. Additionally, we’ve added independent social sign in for apps with their own OAuth keys, meaning that each app in Para has its own private settings and these can contain security credentials for Facebook, Twitter, etc. This was not possible before for apps other than the root app. Hence, the new endpoint /v1/_settings was added for updating these new app settings. The full changelog can be found on GitHub. For the next release we’re hoping to implement a new Cassandra DAO, which is now overdue. An interesting fact about Para is that it was originally implemented to only run on top of Cassandra as a database layer. This was back in days when Cassandra was below version 1.0 and had no official client library, instead we used the Hector client. Para is now database-agnostic but we really wanted to rewrite the original connector for Cassandra using the official Java drivers. Have ideas for the next Para release? Chat with us on Gitter!